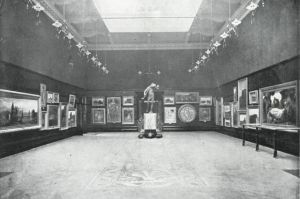 The South London Gallery archive contains records documenting the gallery’s activities from its origins in the 1860s to the present day. It includes material such as early reports and correspondence, exhibition files, print and marketing materials, photographs, oral history interviews, newspaper cuttings and ephemera. You can search for specific artists or exhibitions, or browse by archival descriptions, people or digital objects. Digital objects include things like photographs of past exhibitions, the SLG newspapers and some of the early documents. Cannot find what you were hoping to? Please bear with us! The archive collection is in the process of being catalogued and we will continue to publish archival descriptions in the catalogue over time. If you have a specific research enquiry, please contact the SLG's archivist at archive@southlondongallery.org.